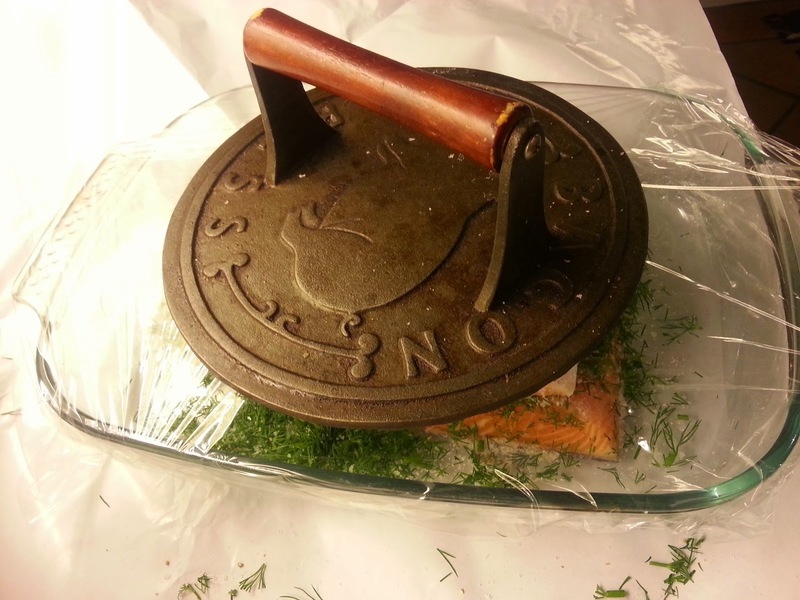 Gravad Lax which means buried salmon is an ubiquitous dish throughout Scandinvia. Unlike the “lox” in the US, gravad lax is unsmoked and cured only with a mixture of salt and sugar. The ratio of salt to sugar is the subject of much debate in Sweden and every family has their own recipe. I didn’t realize how good it could be until Peter made it for me. It is ridiculously easy to make, but you have to plan ahead since it needs a few days to cure. Peter’s mother is famous for her gravad lax and she has a special rock that she uses once a year at Christmas to weigh down the salmon. Peter has searched for a similar perfect stone, and we finally found one which now sits on our window sill at our summer house. 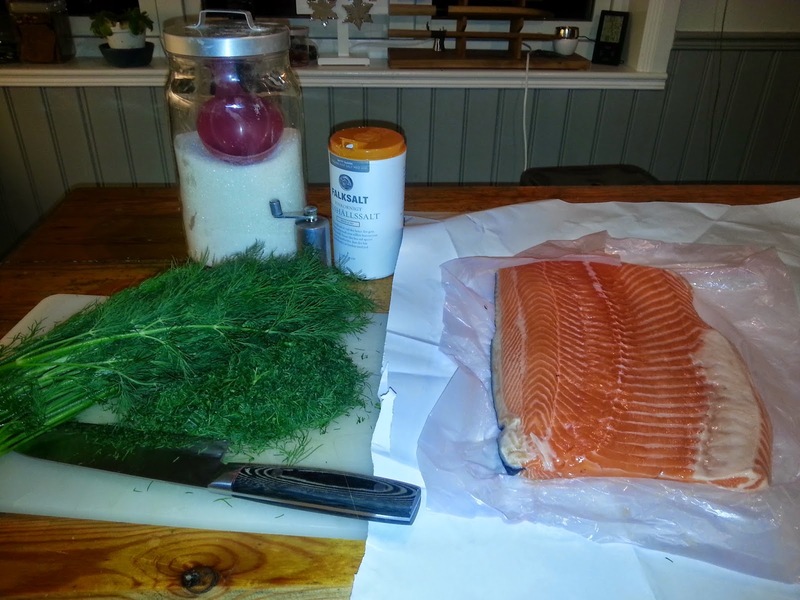 In Sweden, the gravad lax would be served thinly sliced with the mustard sauce on the side as a starter. I eat the leftovers the next day, American style, on a baguette slathered with cream cheese! The fish keeps in the refrigerator for a week or so, if you keep it wrapped. Check that the salmon is well boned by smoothing your fingers over the flesh side of the fish. If you feel any bones, use a pair of tweezers to pull them out. Mix the salt and sugar together. Pepper generously the salmon sides and then sprinkle the sugar-salt mixture evenly over the flesh side of both salmon pieces so that there is a thin layer over the entire fish, making sure that all the flesh is covered. 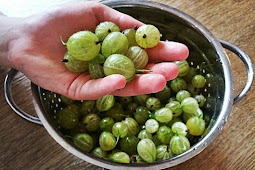 Roughly chop the dill. 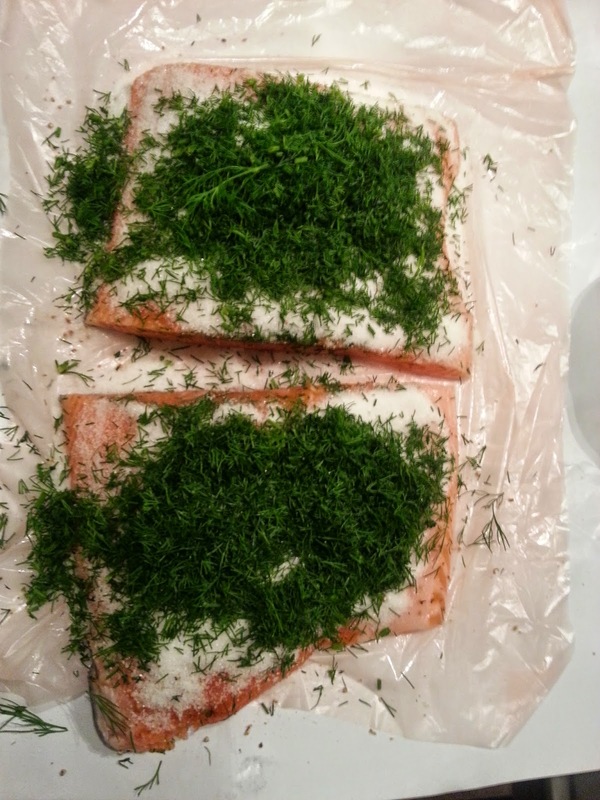 Take a dish that will fit the salmon, and sprinkle some dill on the bottom. Put a piece of the fish, skin side down in the dish. 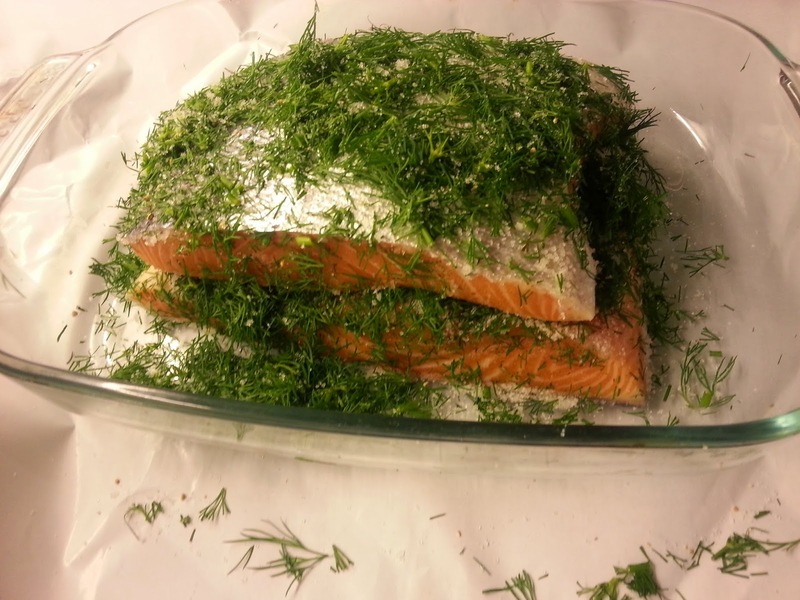 Sprinkle a generous layer of dill on the flesh of the fish. Take the other piece of salmon and put it on top of the first pieces of salmon, flesh sides together, like a sandwich. Sprinkle some dill over the skin. Put plastic wrap over the dish, making sure to smooth it over the top of the salmon. Take a weight, like a large stone and put it on top of the fish. If you don’t have a stone the right size, find a plate or something else that is about the size of the fish, and then you can put some canned food or other heavy item on top of that. Put in the refrigerator and leave to cure. Flip the salmon over every day. The sugar and salt will melt, leaving a brine. The fish will be cured in two to three days, depending on the thickness of the salmon. However, for the best results, continue curing for a week. To serve, slice the salmon very thinly, arrange on a plate and serve with the classic mustard sauce, below. Mix all the ingredients together, except for the dill, until the sugar is fully dissolved into the sauce. Take the finely chopped dill and mix into the sauce. Chill for a few hours before serving to allow the flavors to meld together.